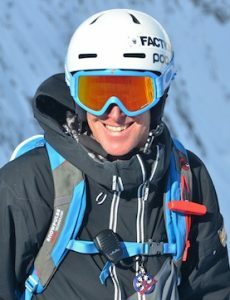 Get private ski lessons in Chamonix with top-level British ski instructor, Mark Gear. Offering private ski lessons in Chamonix for individuals or private groups of similar level skiers, Mark can tailor private ski lessons to suit every skiers needs and goals. Our private ski lessons run all over the Chamonix valley. Mark will help select the best ski terrain around for your level of skiing and current snow conditions helping to ensure your private ski lessons deliver lasting improvement. Private ski lessons in Chamonix provide clients with priority on lift lines and total attention to personal skiing goals. All ski lessons are run by Mark Gear, one of the UK’s top level ski instructors. Mark holds the highest level qualification available (BASI 4 ISTD) and has full French equivalence. Private ski lessons also include transport from your hotel in Chamonix to the slopes, and back for full day lessons. You can book private ski lessons in Chamonix throughout the winter season. It’s recommended to reserve well in advance as dates can get booked up well ahead of time. Lesson prices are for 1 – 3 people. For a private group upto 6 people, add another 25€ per extra person. For 3 hours of private ski coaching. Mornings from 9am. Afternoons also available. Lesson prices are for 1 – 3 people. For a private group upto 6 people, add another 40€ per extra person. For a full day of private ski coaching starting at 9am (6 hrs). Includes Video feedback and transport from Chamonix town to the slopes and back.